The stunning lap pool (20 metres long x 4 metres wide x 1.5 metres deep) is nestled into the bush line on the lower terrace of the property surrounded by purpleheart decking with sun loungers, umbrellas and cotton towels for guests’ use. 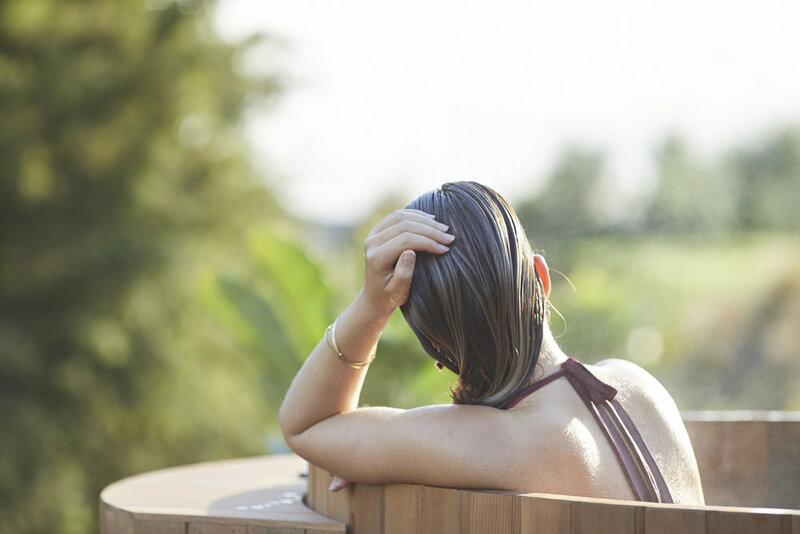 An electric pool cover and heating provides year-round access together with a hot cedar tub for relaxing, surrounded by nature and abundant bird life. We also have a beautiful pine wood infrared sauna to help you relax, lose weight, relieve unwanted pain, increase your circulation, purify your skin and enjoy better sleep and longevity.